February 3, 2006 Rhinebeck, New York – On the last day of January 2006, President George Bush presented his State of the Union. Iraq ­ and his administration’s “War On Terrorists” ­ were at the top of his priorities. On the same day, the United Nations International Atomic Energy Agency (IAEA) reported that Iran has now obtained documents and drawings in the black market that serve no other purpose than to make an atomic warhead. January 31, 2006, Albuquerque Journal, Page A4. Where would Iran get atomic bomb information? Probably from Russia where it’s known that weapons and weapons documents were sold on the black market when the Soviet Union collapsed. One American who saw a big threat in the Soviet black market is Gerald Celente, Publisher for fifteen years of The Trends Journal, based in Rhinebeck, New York. USA Today, CNBC and other news media call Celente one of the best trend analyzers in the business. In his 1997 book, Trends 2000, Gerald Celente warned that the Soviet black market could literally “blow up” in the world’s face if Russian-made suitcase nukes were sold to terrorists. Now a decade later, as 2006 begins, the world is increasingly worried about nuclear attacks and what will happen to economies if a nightmare explodes? I asked Gerald Celente about the major trends he sees this year ­ including the increasing demand for gold ­ the so-called “anxiety metal” – and whether he thinks Iran will force a nuclear confrontation with the U. S.? 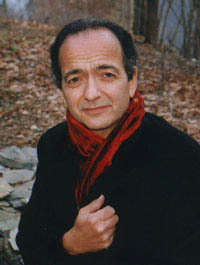 Gerald Celente, Publisher, The Trends Journal, Rhinebeck, New York. Image courtesy Gerald Celente. Gerald Celente, Publisher, The Trends Journal, and Author, Trends 2000, Rhinebeck, New York: “Iran­ if the situation unfolds the way it’s being played out in the media and from the reports that I read: Coming from Israel the past several months, there have been trial balloons being sent up from the Israeli government about a pre-emptive attack on Iran. Also, the United States is saying that military is not an option they are going to take off the table. The threats that are coming out now are not of Iran attacking the U. S. facility or ally, but rather Iran being attacked first. I don’t believe that at this time Iran will launch any kind of war outside their borders because they would know they would be annihilated in a second. They don’t have the wherewithal. However, if Iran is attacked, it will be the beginning of WWIII. There are 70 million Persians. They will not be attacked or invaded by a foreign power and they will launch a world war of weapons of mass destruction. They don’t have to be sent over by a missile. They can come in the size of suitcase-size nuclear weaponry. When gold prices started rising, as they have been over particularly the last year and a half, it’s saying the world is concerned about geopolitical events, economic events. It’s concerned about the direction things are going. So, gold is a safe haven commodity. When you worry about dollars, Euros, or the future, people start putting more money into gold. It has a long history throughout civilization of being that safe haven when you need something to get you out of a big problem. 1) Back then, people were buying it as a survivalist thing. It was survival and we had the Carter years of rampant inflation, changing the Cabinet, mortgage rates were 21%. So people were heading for the hills. It was a survival metal. Now it’s become part of a portfolio. It’s a strategic buy. It’s portfolio insurance. It’s looked upon as a smart commodity buy. 2) This is very big. Back in the 1970s, it was basically the Americans who were playing the market. Anyone who traveled to Europe in the 1970s knows it wasn’t the same Europe as today. There was no Japan like it is today. The Japanese were only beginning to get into the auto industry. Now, you have in 2006 not only all of Europe and Japan playing market, you’ve also added in China, India ­ and boy! the Indians love gold ­ and Russia ­ and boy! do they play the markets. You’ve added 2.5 billion more people chasing a commodity (gold) that has had low production during the 1990s when the price of gold was soft. So, you have a huge population chasing a commodity that has limited supply at a time of very high anxiety. So, that’s why I’m looking at gold now to go past $1,000 and possibly to $2,000. WHAT WAS THE THIRD FACTOR? 3) It’s the debt. The Chinese holding so much of the U. S. currency. So, now there is a huge attack on the dollar. The eye of this ‘Category 5 economy,’ as I call it, is the weakness of the dollar. They can’t raise interest rates much more because they will shut down the U. S. economy. If they lower interest rates now, what is happening is that the Chinese and others have announced that they are going to begin unloading dollars because low interest rates mean cheap dollars. So, those are the three factors. THAT LEADS TO A QUESTION UNDER CATEGORY 5, THE ECONOMY ON YOUR 2006 TRENDS LIST. YOU HAVE THE PROVOCATIVE SUBTITLE, ‘BROKEN CHINA.” CAN YOU EXPLAIN THAT? China has been growing between 9 and 10% for the past decade or so. It cannot sustain that kind of growth without the United States staying economically strong. The U. S. has 5% of the world population which consumes 20% of the world’s imports. If the United States consumer goes on a Slim Fast economic diet, who is China going to export all its product to that they have ramped up so vigorously to serve (such as Walmart)? Now, here is what is going on in China: according to the Chinese government, in 2004 the latest figures available, there was 75,000 riots and major disturbances throughout China. So, even if their economy is soaring, its population base of 1.3 billion people is in turmoil as the peasants and others are losing the little bit that they had and the wealth is being aggregated in the hands of a few. You have a new Communist revolution taking place beneath the surface that we’re not hearing about. If the United States economy slows down, as we fear it’s going to, China’s economy is also going to halt very rapidly. They’re going to have major internal problems. They already have them during the best of times. What that also means is that governments have been known to deflect internal problems, they make external problems seem more important. So, look for problems with China and Taiwan; China and the South China Sea with the Philippines and Viet Nam. Look for more problems from China in relationship to their relations with other nations. IF CHINA AND THE UNITED STATES ECONOMICALLY STUMBLED AT THE SAME TIME, WHAT DO YOU THINK WOULD HAPPEN IN THE WHOLE WORLD? We can see a global recession. It’s already beginning. The United States is going to be hit the hardest of any nation, other than China. China has expanded way too fast and the world cannot consume it all. There is a glut of product in the world supply chain. The United States gets hit the worst because we’re in the worst economic condition. The bubble that is going to burst is going to be the debt bubble. It’s as simple as that. The latest figures are showing that America’s savings rate is at 1933 levels ­ Depression Era levels. These are real facts. The total U. S. budget deficit, including the corporate and household debt, has passed the Depression level high of 200% of the nation’s gross domestic product (GDP). The bubble that is going to happen is the re-financing bubble that was brought about by 46-year-low interest rates following 9/11 until recently. Those low interest rates allowed people to take out the home equity loans and go on a spending spree and buy more real estate and bigger real estate than they ever had before. Now, there is going to be a credit crunch. So, when the United States’s economy slows down, we can no longer afford to pay our debt load, whether it’s personal debt load, corporate debt load or government debt load. That’s another reason why gold is going up. They might devalue the dollar before it’s all said and done. HOW DOES ALL OF THIS FIT INTO ANOTHER ONE OF YOUR TRENDS FOR 2006 CALLED ‘WORKERS OF THE WORLD,’ HAVING TO DO WITH LABOR MOVEMENTS IN THIS COUNTRY? Labor movements historically begin to pick up steam when the economy turns the worst. This you can go throughout history. For instance, if you go back to the Depression, that’s when we had the last real labor movement of any great significance. It had slowed down during the Roaring Twenties when there was great economic wealth being generated throughout the nation. Now, things are slowing down again. The jobs that have not been exported (to India, for example) are the jobs that are going to be unionized. The poultry workers, the slaughterhouse, the hospitality workers, restaurant workers, retail stores ­ these are the same kinds of jobs, for instance, that were relative to the immigrants that were coming over at the turn of the 20th Century. The lower end of the economic scale: the garment workers, the truck drivers and auto workers at the time. Now, those workers have gotten better benefits, such as the auto workers. So, now they are unionizing the lower end of the economic scale ­ the jobs that cannot get exported because, unlike the high paying labor jobs where they could bring in scab labor to replace them, you can’t do that if you’re going to put an ad in the newspaper: ‘Restroom attendants wanted, $7.50/hour.’ You’re not going to have a lot of scabs trying to take those kinds of jobs. WHAT HAPPENS IF IN THE SUMMER OF 2006, WE HAVE ANOTHER HURRICANE KATRINA OR TWO? The economy could crash if we have another natural disaster or manmade disaster. It’s barely holding up now. Oil prices keep moving up. Gold keeps setting new highs for the past 25 years. There are a lot of problems and we cannot afford to take an economic hit. If we have another event such as a Katrina and it’s in a predominantly poor area, we’re going to start also seeing as this gap between the rich and the poor widens, we’re going to start seeing more civil strife. People are beginning to understand or believe that if you’re very wealthy in this country, you have it made ­whether it’s crime or anything else, you’re going to get off easy. But if you’re not rich, you’re going to get hit really hard. And Katrina opened up and showed a side of America that a lot of people, particularly around the world, didn’t think was very flattering to a democratic country. YOU CALL THIS ‘SURVIVAL OF THE FITTEST’ ON YOUR 2006 TRENDS. I WAS CURIOUS WHAT IS THE DIFFERENCE BETWEEN ‘SURVIVAL OF THE FITTEST’ IN THE FACE OF HURRICANES, TSUNAMIS AND EARTHQUAKES AND ALL OF THE POSSIBLE EPIDEMICS AND ANOTHER TITLE ON YOUR LIST WHICH IS ‘OUTSIDE THE SYSTEM, OFF THE GRID’? The ‘Survival of the Fittest’ ­ whether it’s manmade or by Mother Nature ­ when terror strikes, you’re on your own. People have to grow up to this. The government’s not going to be there to help you. They are not there to help you now. When you are in need, they are not going to help you in a crisis. They have showed they are inept in doing this, whether it’s in a military conflict or a local disaster. Either side of the aisle, both of the parties, they are not going to be there. You are on your own and terror is going to strike, whether it’s manmade or by Mother Nature. We just heard the former head of the 9/11 Commission, former New Jersey Republican Governor Thomas Keane, say that the nation is not prepared for another terrorist strike and that if it happens, it’s not a matter of IF? It’s a matter of WHEN? So, when terror strikes, what are you going to do? That’s what ‘Survival of the Fittest’ is about. We’re going to continue to see it grow, whether it’s in the areas of people being fearful of pandemics such as bird flu, mad cow. People taking more responsibility to protect themselves emotionally, financially and physically, whether it’s immune system build up; or building up your bank book or assets in a way that you can protect them. Infinite-energy.com. These are real scientists and real breakthroughs. Which brings me to something I’ve just been thinking about. Visionaries and others who want to look ahead and see ahead should begin to contemplate: What will the world landscape look like geopolitically when we no longer need oil? It’s going to look just like it did when we no longer needed the Silk Routes or the Spice Routes. Things change. New developments happen and new alliances start to form. So, with all the negatives, there is positive. There is a lot of change developing now and if we move ahead in the right direction, we have enough information from the past to know what works well and what does not. If we take that deep library of information and push forward with it, we could actually have a new renaissance. With this new alternative energy, it’s going to be as important as the discovery of fire and the invention of the wheel. BUT AREN’T THE SAME COMPANIES SUCH AS SHELL AND EXXON IN CONTROL OF ALTERNATIVE ENERGY SYSTEMS DEVELOPMENT AS WELL? No, they are not. They can make it happen in the sense that if they funded it, they could make it happen quicker. But the old saying is that ‘necessity is the mother of invention.’ Just as the people that were making horse and carriages and had that market cornered could not stop the automobile, neither will the big oil companies. It’s happening, as I said, when you see the developments that are happening in zero point energy, in charge clusters and permanent magnets, and even in cold fusion and what they call hydrino power. You can see this is going to be very shortly emerging on the horizon as the necessity becomes, particularly in capitalistic societies, if the consumer is putting all their disposable income into energy, how are they going to buy consumer products? Two-thirds of the nation’s GDP (Gross Domestic Product) is generated by consumer spending. So when oil prices or gasoline prices hit $4/gallon, that’s the time when government, when investors, when venture capitalists start putting money behind alternative energy. [ Editor’s Note: Hydrino power issue described in November 4, 2005, issue of The Guardian, London: “In 2005, Randell Mills, a Harvard University medic who also studied electrical engineering at Massachusetts Institute of Technology, claims to have built a prototype power source that generates up to 1,000 times more heat than conventional fuel. Independent scientists claim to have verified the experiments and Dr Mills says that his company, Blacklight Power, has tens of millions of dollars in investment lined up to bring the idea to market. IT SEEMS LIKE THE 2006 TREND PICTURE HAS PARADOX IN IT, MEANING THAT IT’S POSSIBLY LIKELY THAT THE AMERICAN ECONOMY ­ AND MAYBE CHINA WITH IT ­ WILL STUMBLE AND HAVE SOME REALLY ROUGH TIMES. YET, THE DECLINING OIL SUPPLY IN THE WORLD IS GOING TO BE FORCING ENTREPRENEURIAL SPIRIT TO EXPAND BUSINESS. Precisely! The thing about the future that is wonderful about it is that we really shape the future that we want to have in so many ways. We’re all doing in life what we’re doing at this very moment because of decisions we made in the past. The same thing holds true whether it’s an individual, a community, a state, a nation or a planet. If we put our direction into the kinds of goals, missions and objectives that create a world that is more self-sustaining and less destructive, we could have that world. To keep up with the trends of 2006 and beyond, visit Gerald Celente’s website at www.trendsjournal.com. The Trends Journal published by Gerald Celente since 1991. Trends 2000 © 1997 by Gerald Celente. Click book cover to amazon.com.